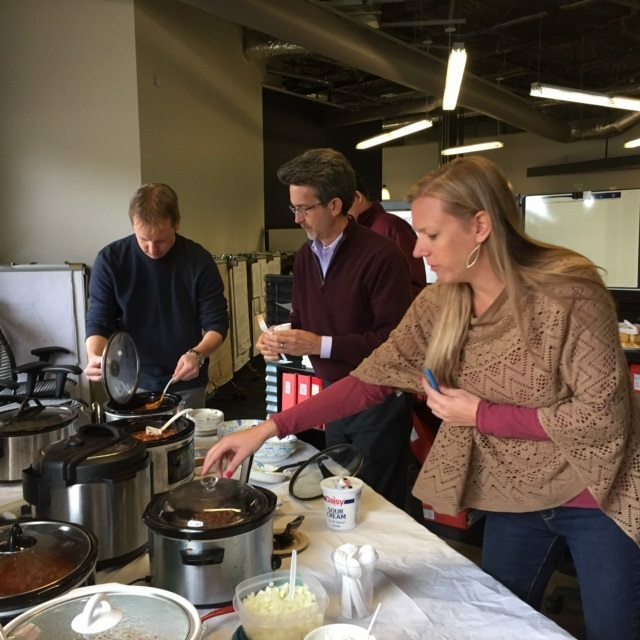 Williams Notaro and Fanelli Mcclain celebrated their 1st Annual Chili Cook Off on November 14, 2016 and it was great! We had 8 different kinds of chili and each was voted on for its flavor, color, heat, aroma, and texture. The contest began at 12 noon and after being bombarded with tantalizing aromas all morning, we dove right in. 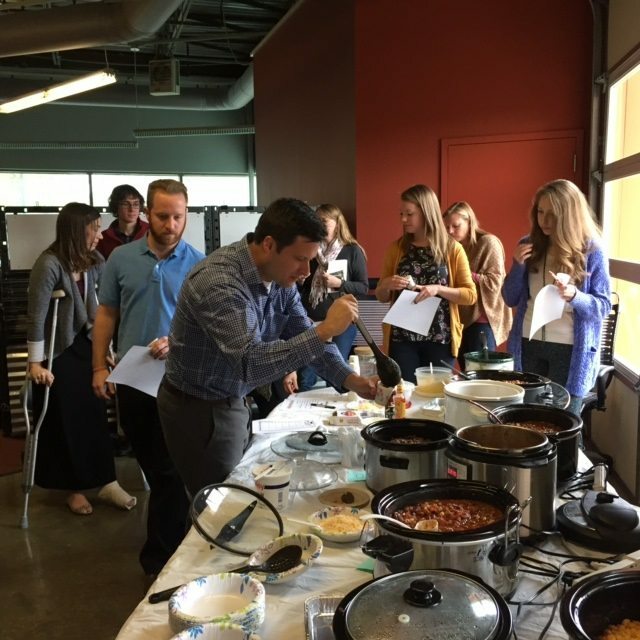 The judges (all who didn’t bring chili) got busy filling their tasting cups and recording their data. The lunch table was a hubbub of frenzied chili tasters. 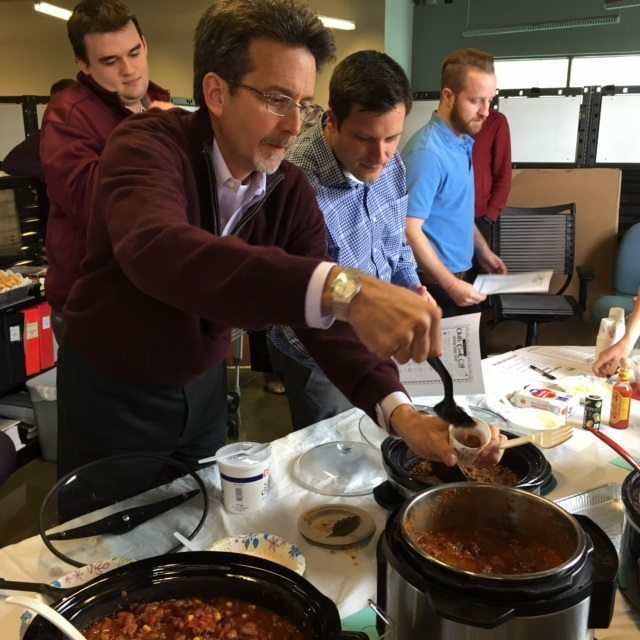 Once the tasting was over, we all sat around, talked, and enjoyed a bowl of our favorite chili along with some baked macaroni, potato salad, corn chips and corn bread. 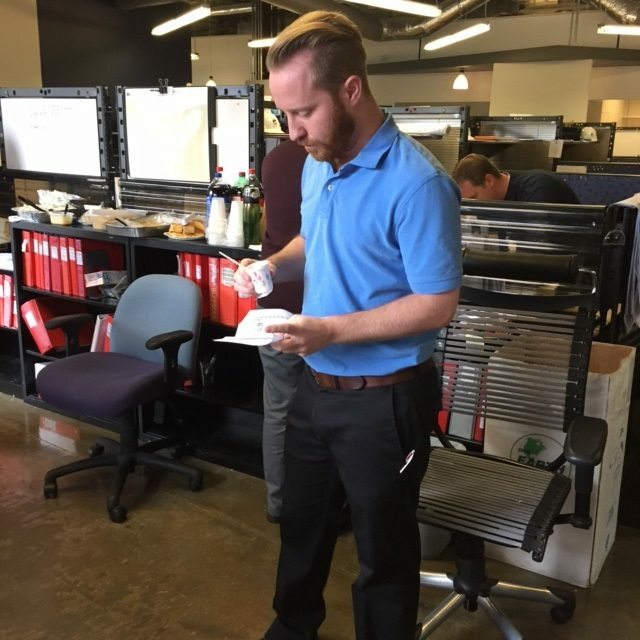 After, counting the votes, the winners were announced -1st Place winner Brandon Wilson from Williams Notaro won $100 gift certificate to Red, Hot, and Blue; 2nd Place winner Donna Lynch from Fanelli McClain won a $50 gift certificate to Red, Hot, and Blue. Thank you to all the chili chefs and for everyone’s participation to make this a fun event. Now, let’s all get busy perfecting our chili recipes for next year’s Great Chili Cook Off!